The district of Kanyakumari located in the southern state of Tamil Nadu features excellent road transportation system. As a matter of fact, road transport services are considered as the most preferred mode of transportation in the district. With Tamil Nadu State Transport Corporation, popularly called as TNSTC operate regular buses to a lot of towns and cities within and outside of Kanyakumari district, there is no wonder that the local population and visitors prefer bus services over other modes of transportation. 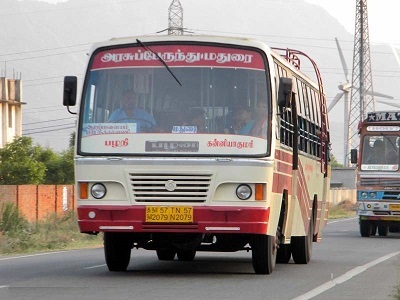 Find below the list of important bus services from Kanyakumari to various destinations in Tamil Nadu and in other states.